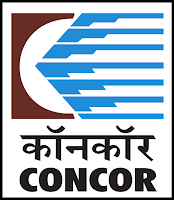 CONCOR Recruitment 2018 Job alert both Fresher and Experienced can get CONCOR recruitment 2018 updated on January 2, 2018 notification on recent CONCOR recruitment 2018 openings across India. This is an exclusive page updated on 02.01.2018 for the latest recruitment notification concorindia.com from Container Corporation of India CONCOR 2018 it contains both active and recently expired Job openings and recruitment notification from CONCOR 2018. Educational Qualification : C.A. qualified and should be conversant with working in a computerized environment. Age Limit : Candidate should have been born not earlier than 31.12.1989 and not later than 30.12.1999, both dates inclusive. CONCOR Selection Process : Selection will be based on Online Written Examination. Application Fee : Candidates have to pay Rs.1000/- through Debit Cards (RuPay/Visa/MasterCard/Maestro), Credit Cards, Internet Banking, IMPS, Cash Cards/ Mobile Wallets. Candidates belonging to the category of SC, ST, PwD, and Ex-servicemen are exempted from submission of application fee. How to Apply CONCOR Vacancy : Interested Candidates may apply Online through the website www.concorindia.co.in from 30.12.2017 to 22.01.2018.